Joseph Lock was born in Oxford on 13 April 1760, and was baptised at All Saints Church four days later. He was the only son of Edward Lock (a goldsmith and banker in Oxford’s All Saints parish who was himself Mayor in 1776, 1791, and 1806) and his wife Hannah Bridge. Joseph grew up at his father’s original shop at 135 High Street, and Parson Woodforde mentions giving money to the child there. On 13 April 1774 Joseph Lock, then aged 14, was apprenticed to his father for seven years, and followed him into the goldsmith and banking business. On 1 May 1781 at St Peter-in-the-East Church, Joseph Lock married Elizabeth Watson, daughter of the grocer Benjamin Watson: both were then living in that parish. The next year Lock was admitted free, and went into partnership with his father: Bailey’s Western & Midland Directory for 1783 lists “Lock, Edward, and Son” as goldsmiths and jewellers. Lock was selected as Mayor’s Child by the new Mayor, Richard Weston, in 1786, and took up his Chamberlain’s place immediately. In 1793 he was elected Bailiff. Lock and his wife lived over his father’s shop, first at 135 High Street and then from 1786 at 6 & 7 High Street, but they lost at least five children in infancy there, and it may be this that caused them to build a country house where the children could enjoy fresher air. 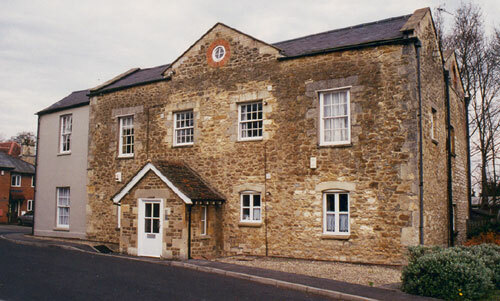 Their first country house was built at Iffley between 1794 and 1800 (below). Now named Denton House, it stands on the high ground above Iffley Turn. Their three remaining children who were moved there (Edward, born on 24 April 1785; Elizabeth, born in 1793; and Maria, born in 1797) all survived to adulthood. In April 1799 Joseph took on his own son, Edward, as an apprentice. Under the Headington Enclosure Award of 1804, Joseph was awarded about 17 acres of land in central Headington, including the site of the present Bury Knowle Park, and he immediately built Bury Knowle House (below) as his new country home. Joseph Lock and his wife were both loathed by the people of Headington from the moment they arrived. In 1805, because he erected a wall across the footpath that was the coffin route from Headington Quarry (which then had no church) to St Andrew’s Church. (This is the footpath that runs behind the present Somerfield car-park.) Three times the doughty Quarry men smashed down the wall, and three times Lock rebuilt it, taking three of the men involved to court. Mr Lock, whose improper conduct has made no inconsiderable disturbance in this parish, is a person in whose estimation the possession of money is a compensation for the absence of almost everything else…. Mr Lock would not be so much disliked as he is, if he did not permit his wife, who is a busy meddling woman, to interfere as much as she does in everything in which he is concerned. He suffers her to make a fool of him, therefore he is a fool. In the end, St Andrew’s Church lost out; the people of Quarry turned their backs on Old Headington and arranged to have a Methodist preacher come to them; they never came back to St Andrew’s, and their own church was built for them in 1849. The knighting by mistake was a true story. William Elias Taunton was Town Clerk; his son of the same name, the Recorder, was absent when the Prince drove up, and the father read the address, but instead of handing it to the Mayor of Oxford for presentation, handed it in himself. The Regent took a sword from one of his attendants, asked his name, and knighted him. He was reminded that it was an error. Bid the Mayor stand forward and he rose Sir Joseph Locke. 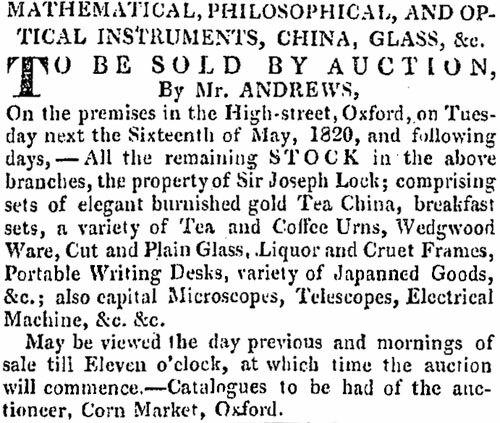 The following advertisement appeared in Jackson’s Oxford Journal for 13 May 1820, and marks the point at which Sir Joseph Lock ceased the retail side of his business to concentrate on banking. 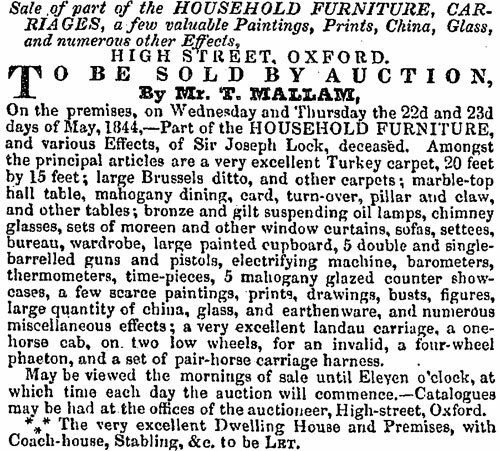 It gives a good idea of some of the items that Lock would have sold in his High Street shop. Lock was on the Committee of Management of the Radcliffe Infirmary, reporting bad smells in the Litchfield and Frewin Wards in 1825. He was also President & Treasurer of the Oxford Medical Dispensary and Lying-in charity. Lady Lock died in 1822 at the age of 62, leaving Sir Joseph a widower for 22 years. Perhaps he mellowed in his old age, for in 1827 he gave some land in Nacklingcroft Meadow off Marston Road to be the site of the present St Clement’s Church. In December 1821 Lock was chosen as President of the new Oxford Mechanics’ Institute, and in March 1830 Treasurer of the new Oxford, Oxfordshire, and Neighbouring Counties Horticultural Society. In 1829 Sir Joseph was elected an Alderman and entered his second term as Mayor (for 1829/30). He did not get a seat on the new Corporation in 1835, but was selected to be a magistrate. At the time of the 1841 census Lock, now aged 80, is still described as a banker. Living with him at 6 & 7 High Street home were his daughter Maria, three independent guests or lodgers, a 25-year-old clerk called Benjamin Watson (likely to be a relation of his wife), and three servants. His son Edward was at this time living with his family in Bury Knowle House. On 13 May 1843 Lock’s second daughter, Maria, was married in St Giles’ Church (again by the Warden of Wadham) to George Baker Ballachey of Edgefield Mount in Norfolk. Joseph Lock died on 16 January 1844 at the age of 83. He was buried at All Saints Church in Oxford with his wife, and a tablet was erected there. The late Sir Joseph Lock … was Treasurer and a liberal supporter of most of the charities in this city, in which he took an active and especial interest, more particularly in the Oxford Medical Dispensary, over which he he presided for many years. Of the literary and scientific societies he was also a liberal patron, and acted as President of the Mechanics’ Institution from the time of its formation to its decline, and as a member of the Oxford City Book Club from its commencement was always the foremost to promote its prosperity. In private life Sir J. Lock was distinguished for his amiable and social qualities, and the general knowledge he possessed was cheerfully dispensed for the benefit and entertainment of every circle he entered. Of Lock’s numerous children only Edward Lock and Mrs Maria Ballachey, survived him. 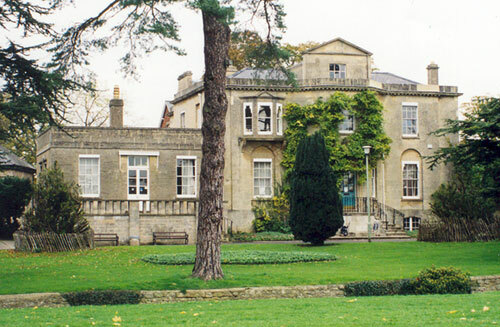 Edward was bequeathed the Oxford property and Maria the land in Headington, including Bury Knowle House. She moved in immediately with her husband. Lock's Court near Bury Knowle Park in Headington is named after this mayor. Carl Boardman, Oxfordshire Sinners and Villains (Alan Sutton Publishing Ltd., 1994), pp. 53-4.